They’re baby eels. 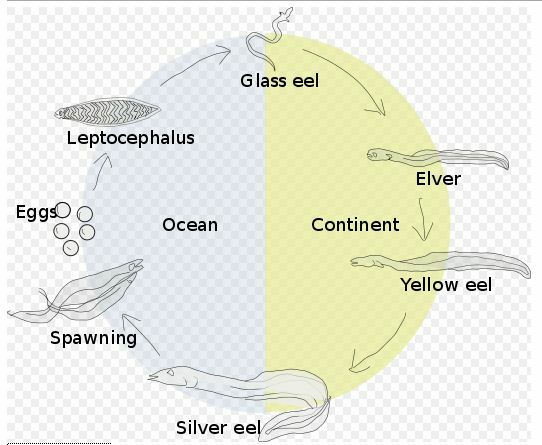 Eels have a remarkable lifecycle which sees them travel thousands of miles across the Atlantic Ocean. Spawning (egg laying) has never been observed, but it is believed to take place in the spring, deep in the Sargasso Sea, between Bermuda and the Bahamas. Maturing females are thought to contain up to 10 million eggs. The eggs develop into a ‘leaf-like’ larva called a ‘leptocephalus’ It was originally thought that these larvae took three years to migrate from the Sargasso Sea to the European coast but, recent studies suggest that the journey may take as little as 12 months. 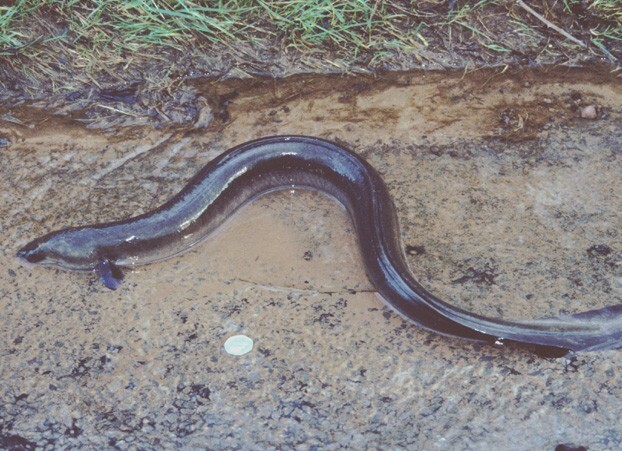 When the larvae reach shallower water they change into what is called the ‘glass eel’ stage before continuing with their migration into river estuaries. They use the tidal currents to push them into our river systems, going upstream on the flood tide. During the ebb tide they move out of the current towards the bank side to prevent being washed back out to sea. As the water warms during the late Spring, glass eels start to develop pigmentation and become strong swimmers. At this stage they look like miniature adult eels and are referred to as elvers. 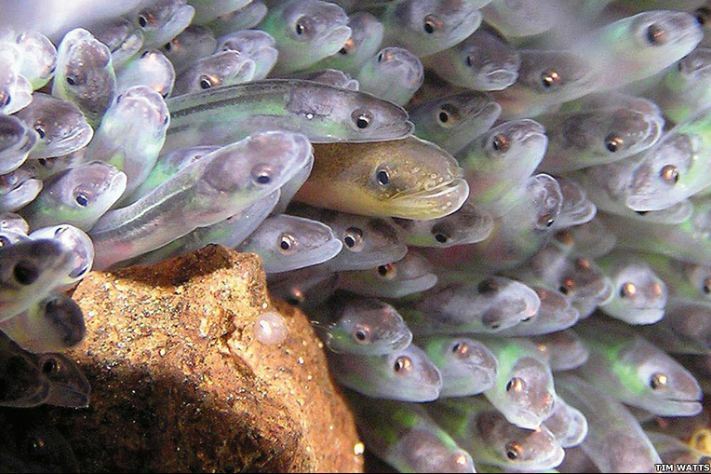 Male eel stay in freshwater for between 7 and 12 years, maturing at an average length of about 36cm. Females stay between 9 to 20 years and mature at a larger average size of about 50cm, though eel can grow larger reaching up to 1 metre in length and live as long as 40 years. When the fish mature they change to a blue/silvery colour and migrate seaward during the autumn, usually during dark stormy nights. There is a very long history of fishing for elvers in the Severn Estuary. It’s important to the local culture and also makes a contribution to the local economy. The wholesale value of elvers has risen dramatically from around 50p a kilo in the 1980’s to anything up to £500 a kilo now. There are about 3000 elvers in a kilo. 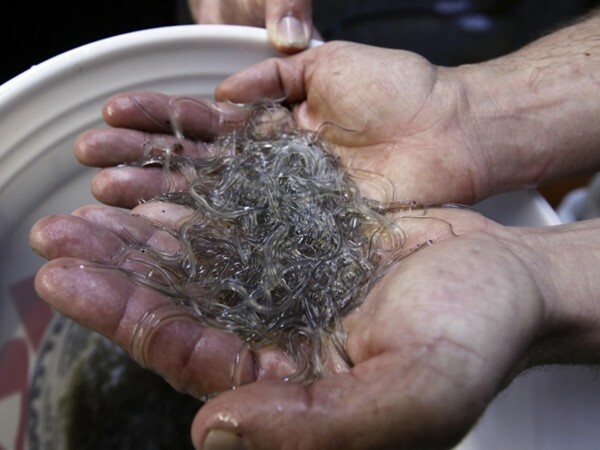 Prices fluctuate greatly depending on demand and the number of elvers about. Fishermen sell their catch to elver traders in the UK, who then sell them on for restocking fish farms and fisheries across Europe. Under the Convention on International Trade in Endangered Species of Wild Fauna and Flora (CITES) regulations, it is now illegal to export European elver outside the Continent. If you want to fish for elvers you need a special permit from us. 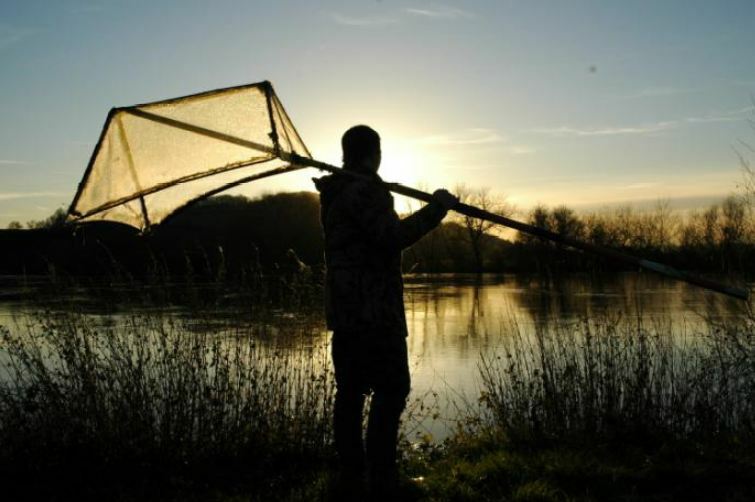 Last year we sold over 200 elver dip net licences on the Severn Estuary. Because eels are so endangered and due to the potential financial benefits of catching large numbers of elvers we try to strike a balance between allowing fishing and protecting the vulnerable population. Our permits put restrictions on the equipment you are allowed to use and how and where they are used. This limits the numbers of elvers it’s possible to catch while allowing fishing to continue. Most elver fishermen are law abiding. Some are not! During the elver season ( from February to May) we devote a lot of effort to detecting and tackling illegal fishing activity. We have a dedicated team of fisheries enforcement staff who are fully warranted and equipped to carry this out. We also have some sophisticated kit, such as night vision headsets and cameras, sonar equipment and high- powered boats, to help us track down the guilty. 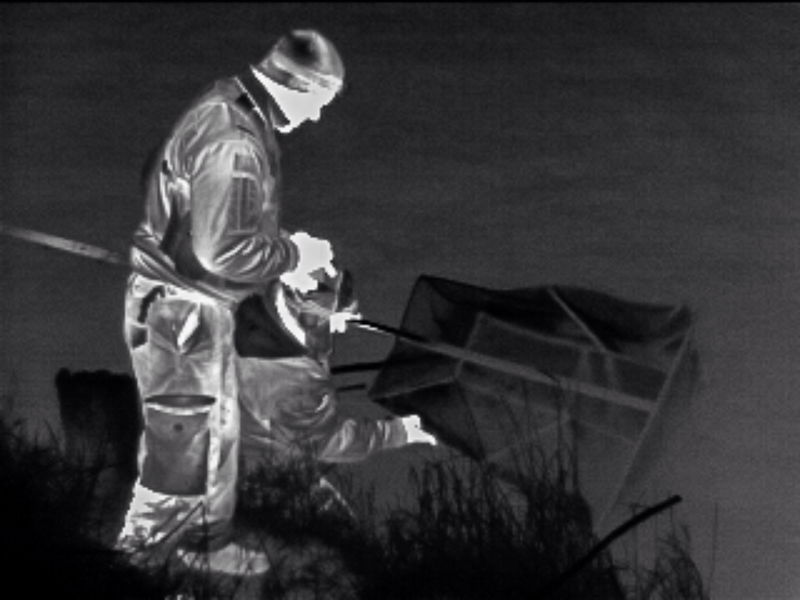 Last year we successfully prosecuted 10 people at magistrates courts for illegal elver fishing on the Severn Estuary. We also have the power to seize equipment that we suspect to be illegal or being used to carry out illegal activity. In the past, in addition to fishing equipment, we’ve seized and impounded boats, cars and vans! The elver season is now well underway and we’re out and about most nights. 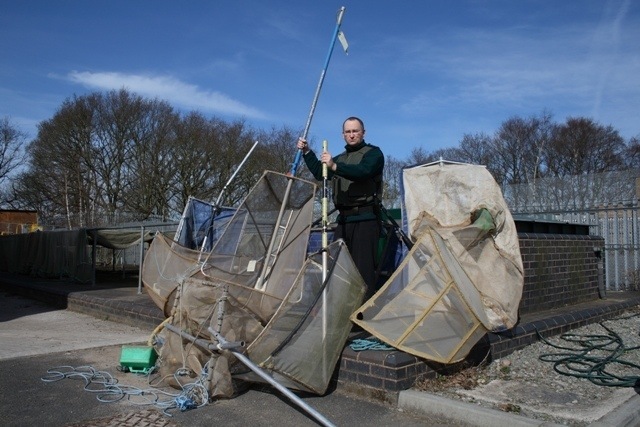 This entry was posted in Fishing and tagged conservation, Elvers, enforcement, fishing by Dave Throup. Bookmark the permalink. Hi Dave could you tell me where you got the data for your graph please? 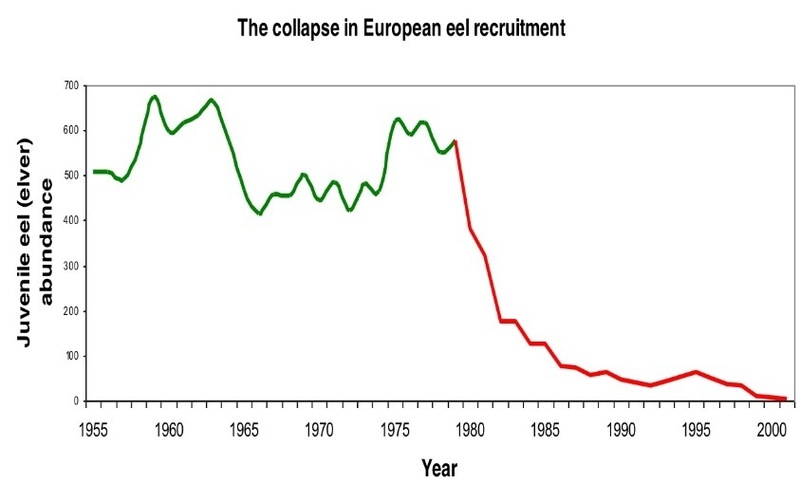 I am a student doing a piece of work on eel decline.